One of the very few boxes that actually claim the tube is an indicator. You would have to try real hard not to notice this one. a Y64 tube came in this box. 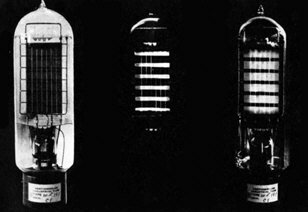 WestinghouseWL-787 Demonstration Triode P. S. I want one of these! 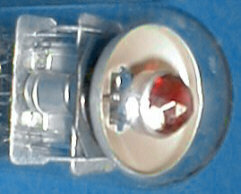 Above: eye with red bezel doubles as filament indicator. 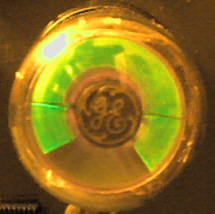 Right: 6E5 with GE logo on the filament shield. 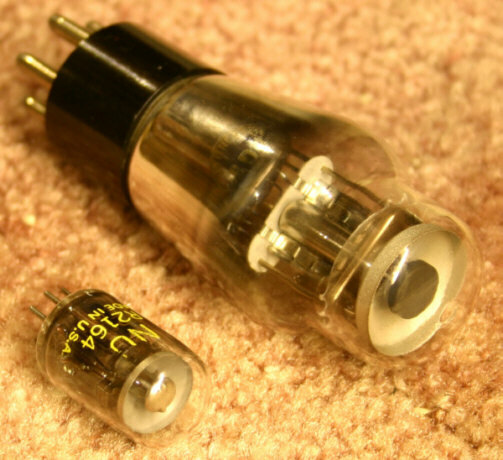 6G-E12A tube (Toyo) used in some Pioneer audio equipment. 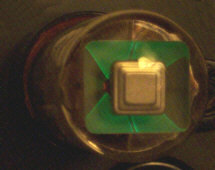 The rectangular shape of the target and the square beveled filament shield make this an interesting magic eye. 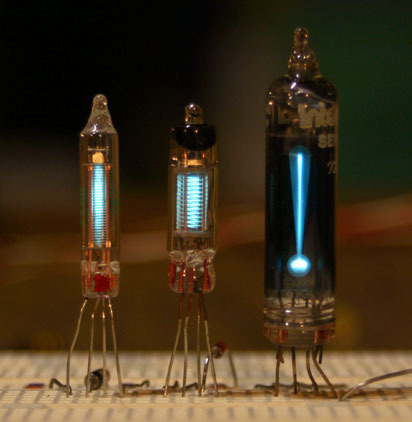 Above Right: Target of a 6G-E12A tube The two are electrically equivalent, but as you can see, the display is much different. Left: The only box I have ever seen with the words MAGIC EYE printed on it (besides the ones I wrote on). A 12Z-E8 tube came in this box.